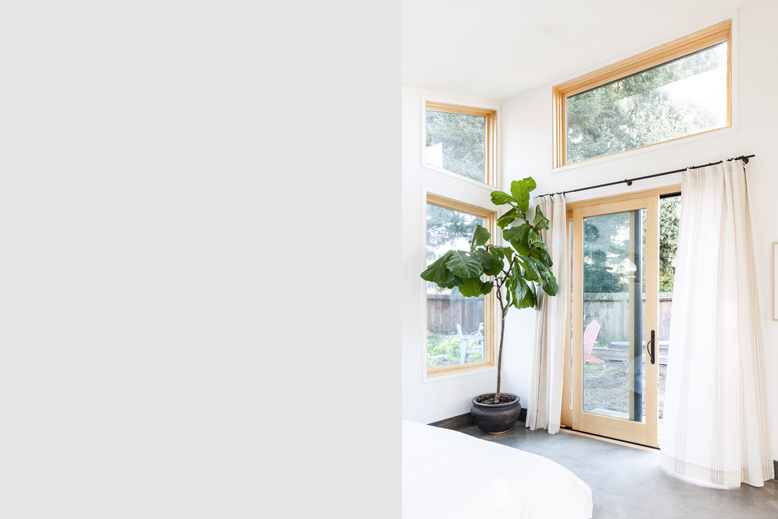 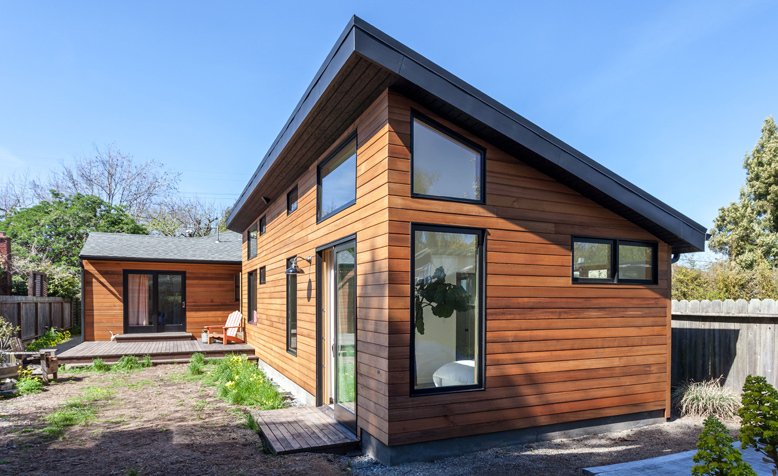 This backyard addition tucked behind a home in West Berkeley provided a much needed master suite and home office for this young family. 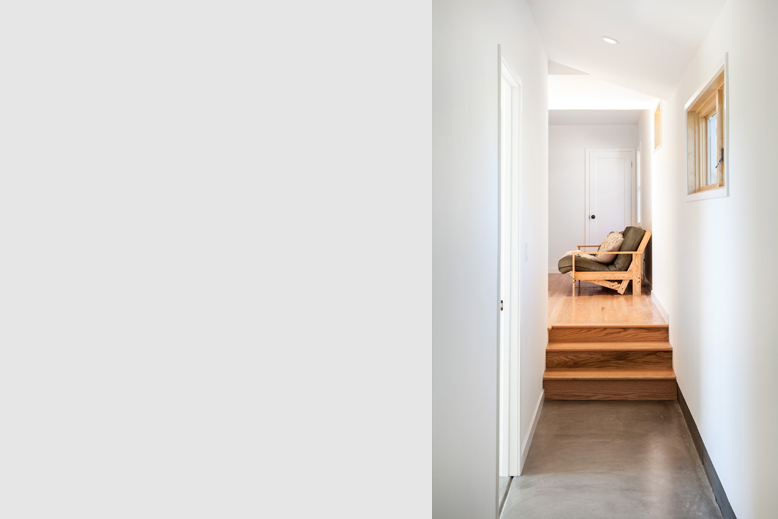 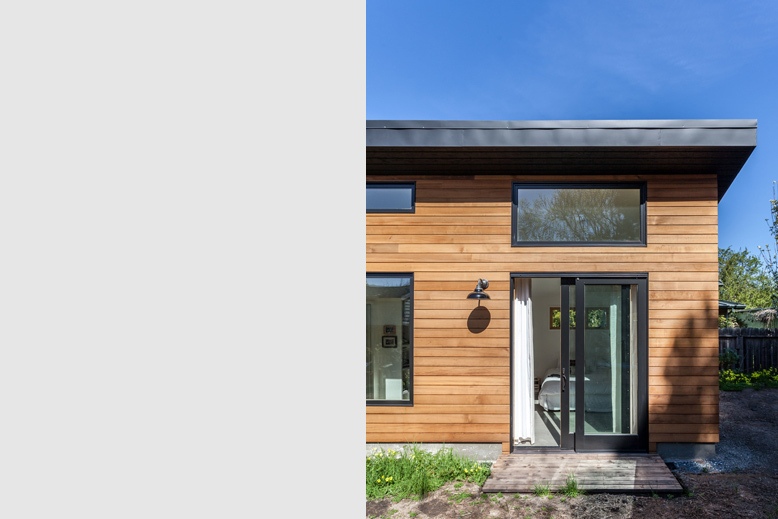 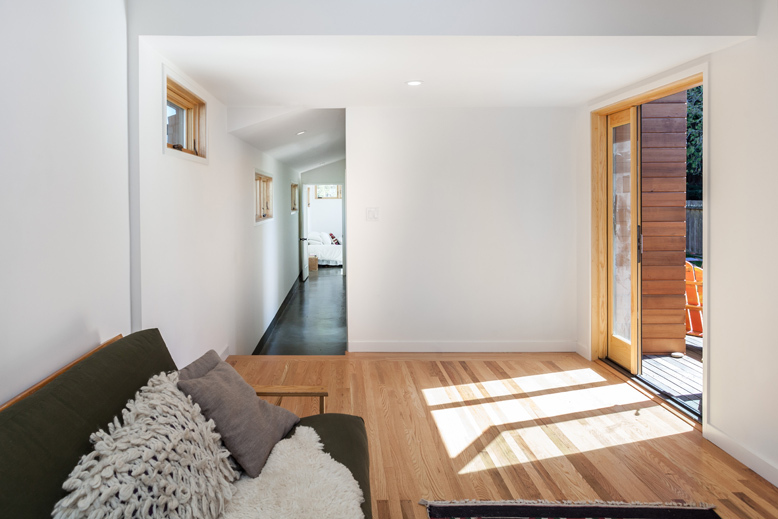 The addition extends the footprint of the home while creating a sunny south-facing courtyard for the family. 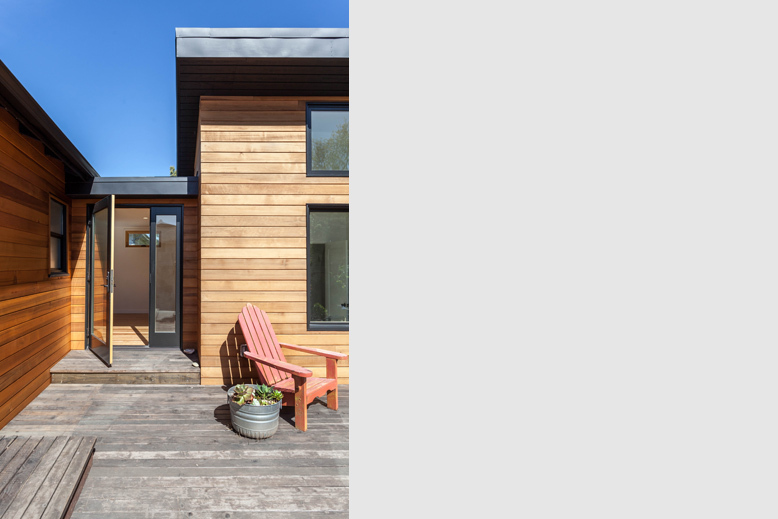 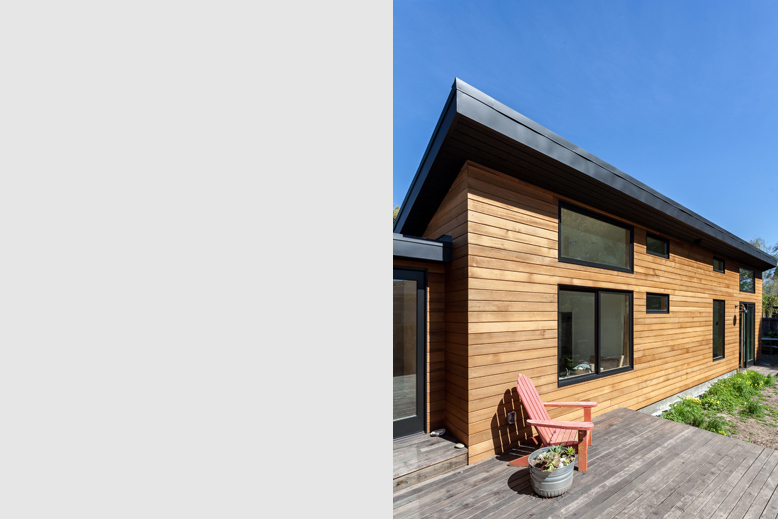 The exterior is finished in a warm cedar siding and metal roof. 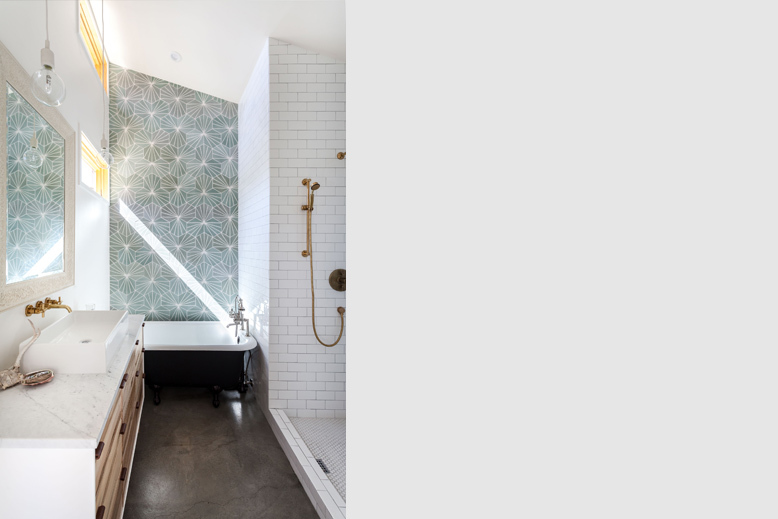 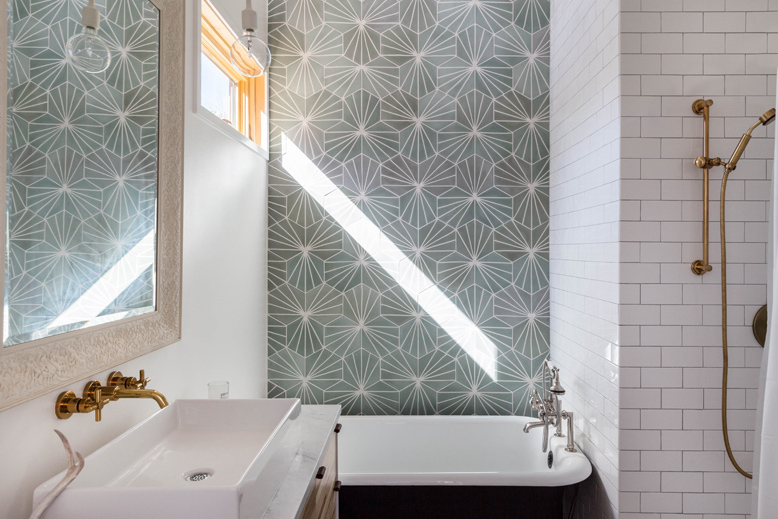 The interiors feature radiant heating in polished concrete floors, while concrete hexagon tiles are featured in the bathroom. 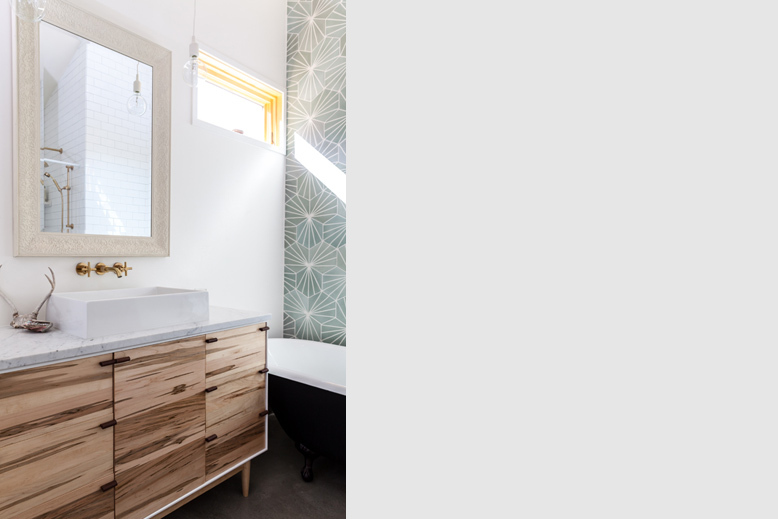 Custom cabinetry in the bath and wood windows bring warmth to the project.